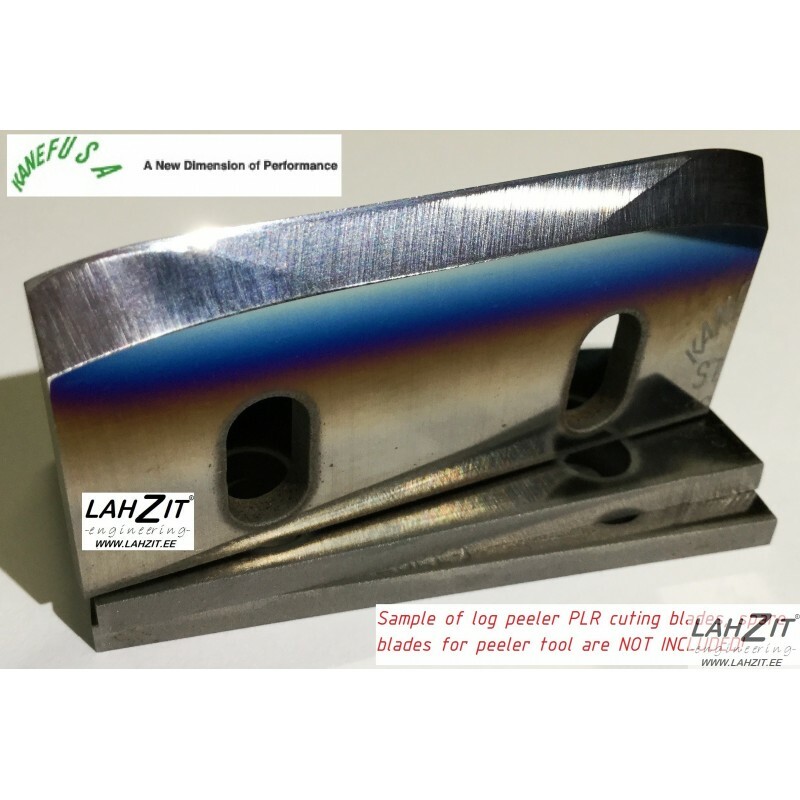 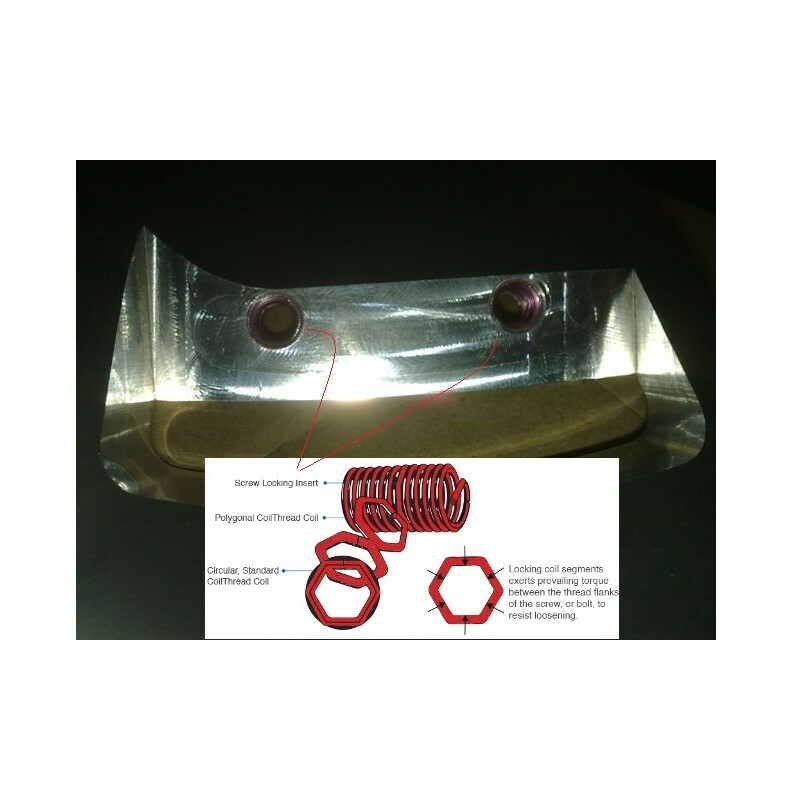 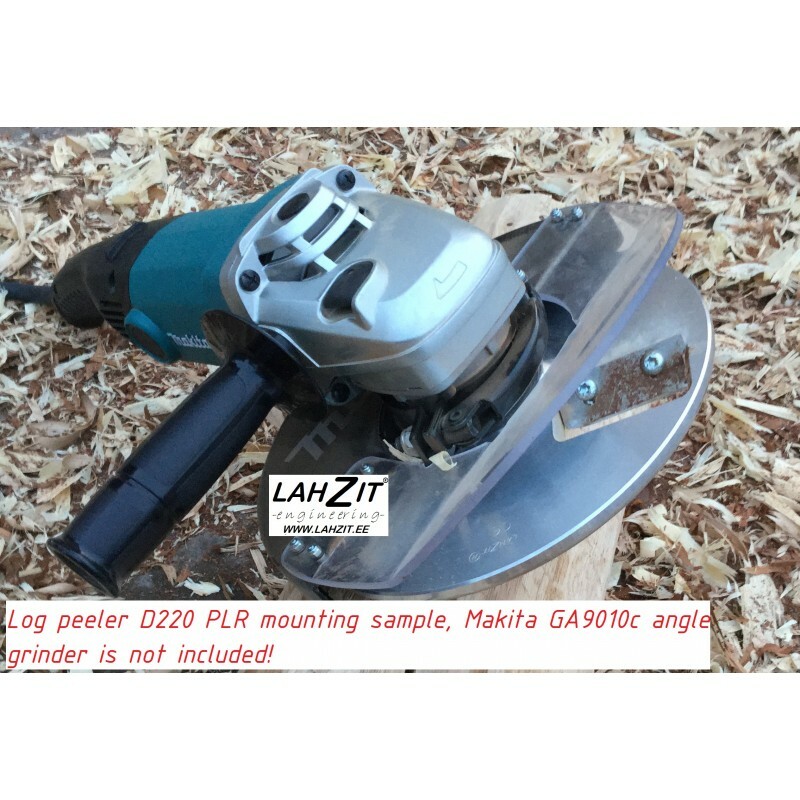 Planar shape log peeler (PLR) for 9'' (230mm) angle grinder. 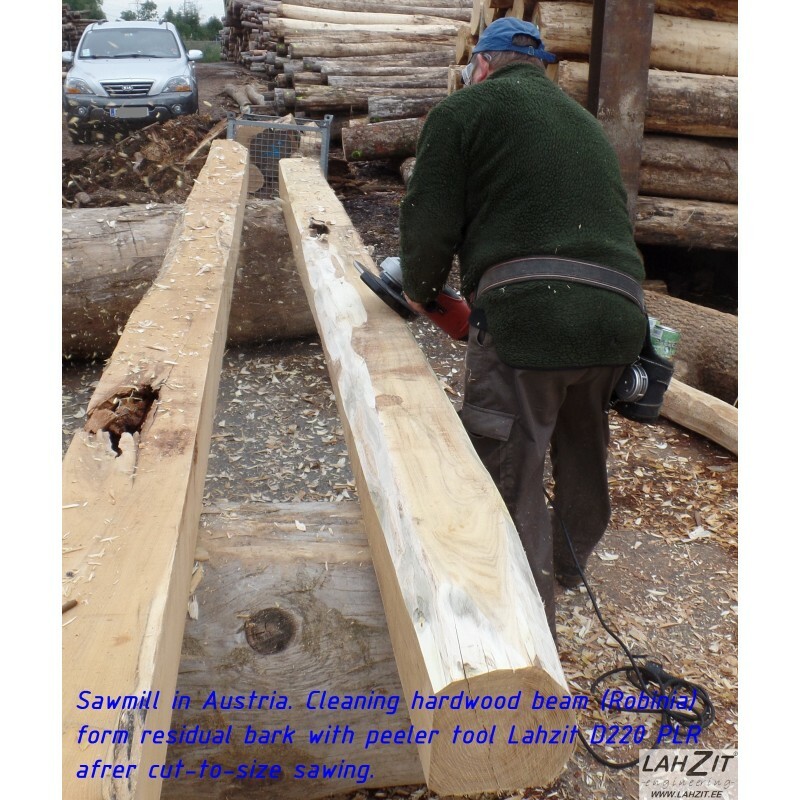 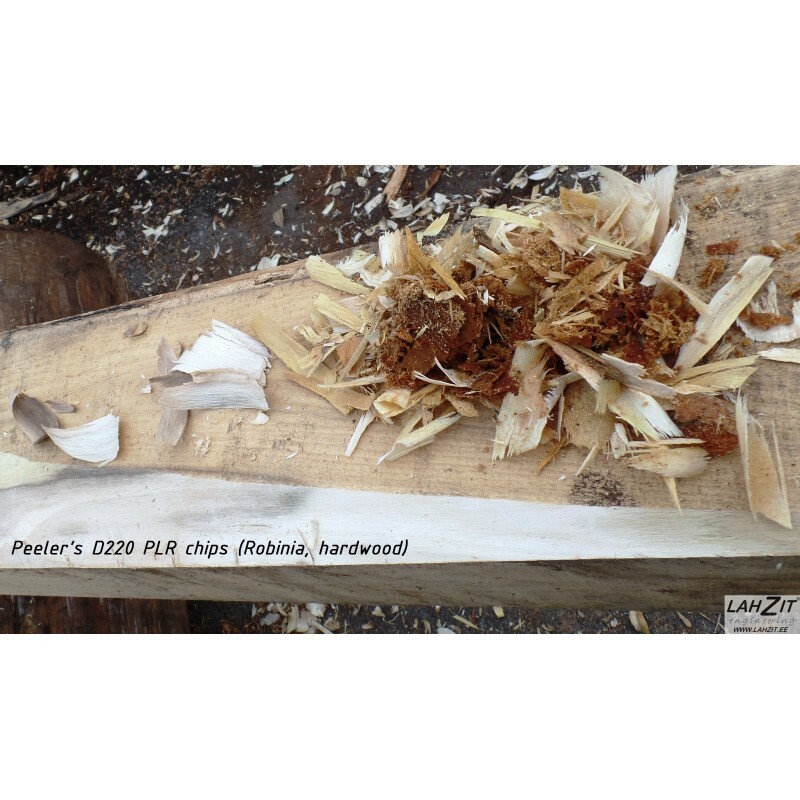 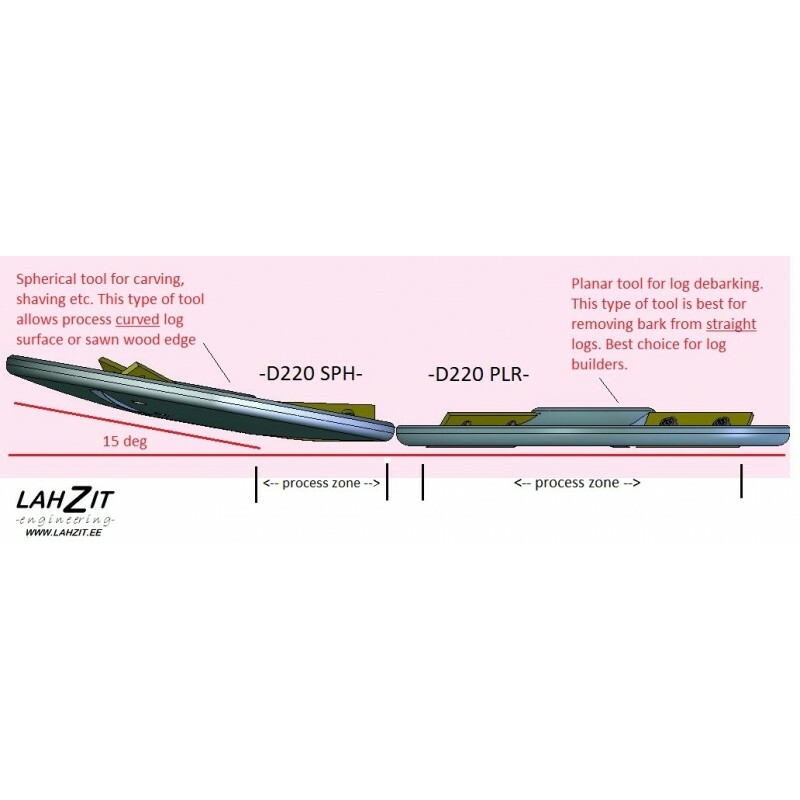 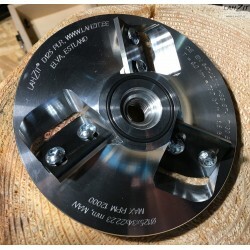 This type of peeling tool is best for removing bark from straight logs. 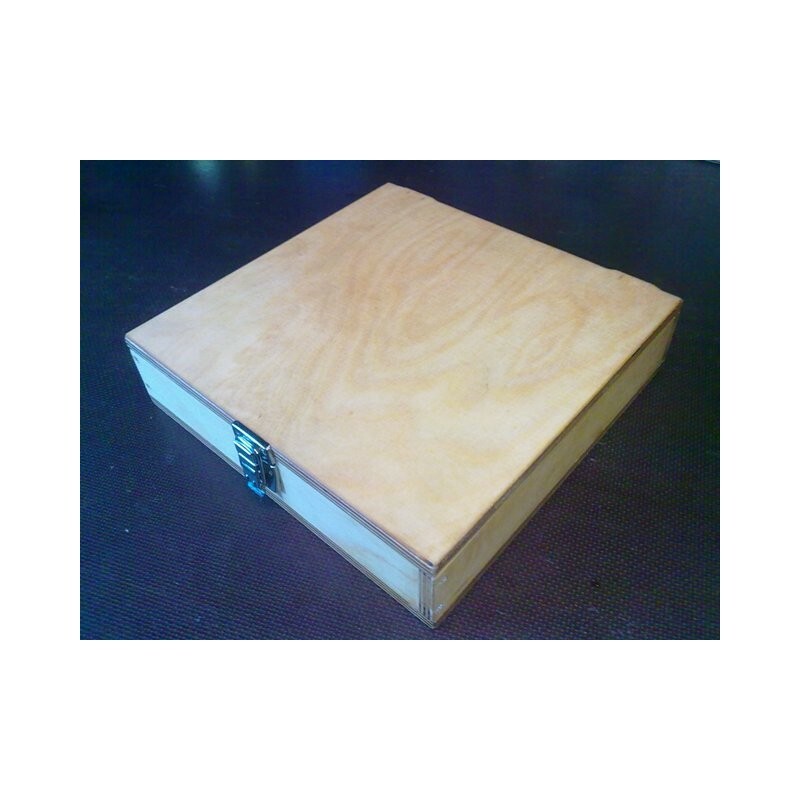 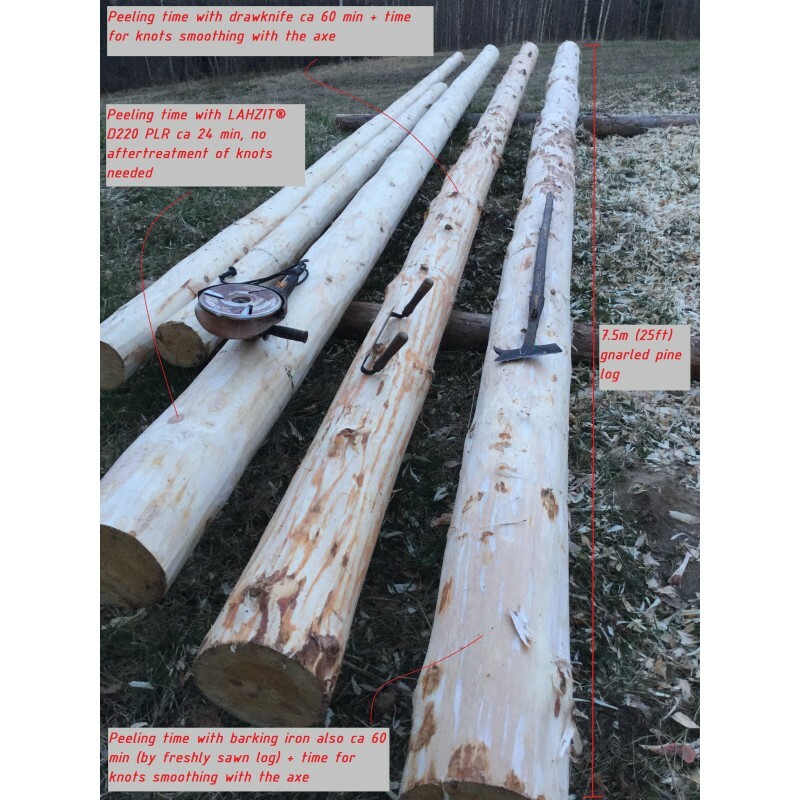 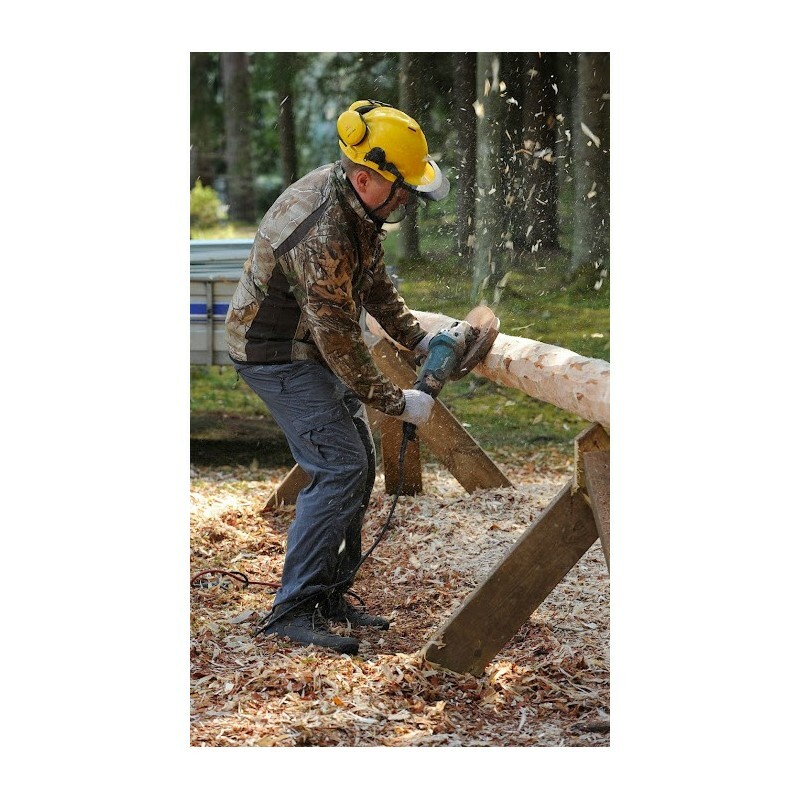 Best choice for professional log builders. 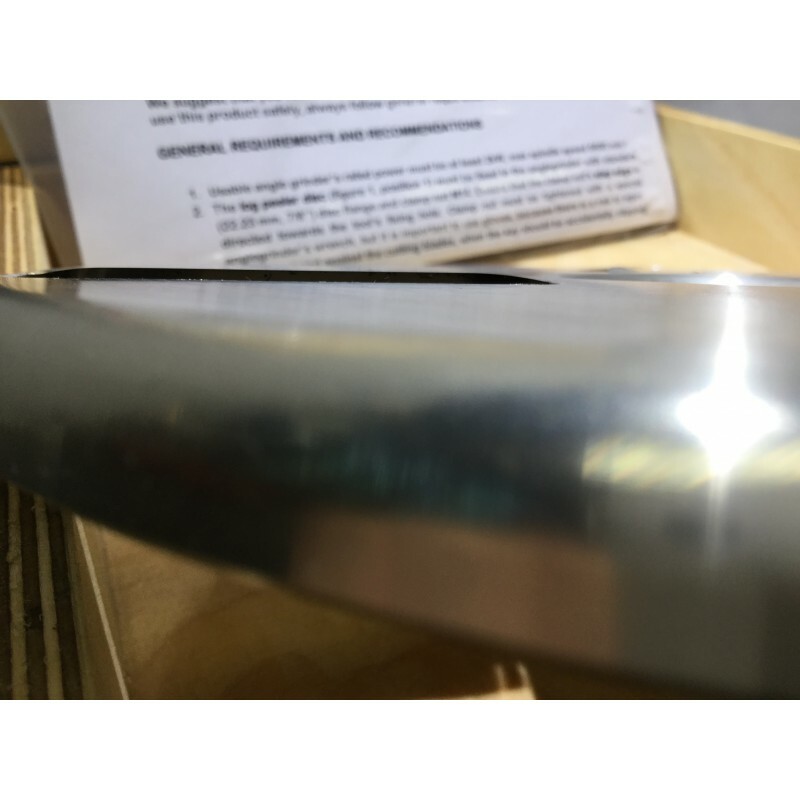 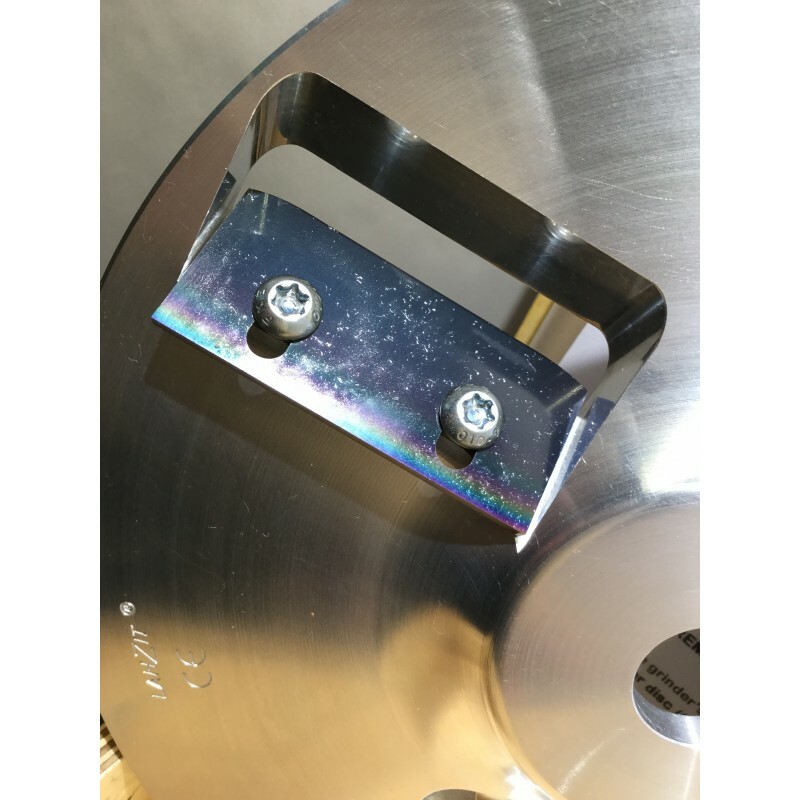 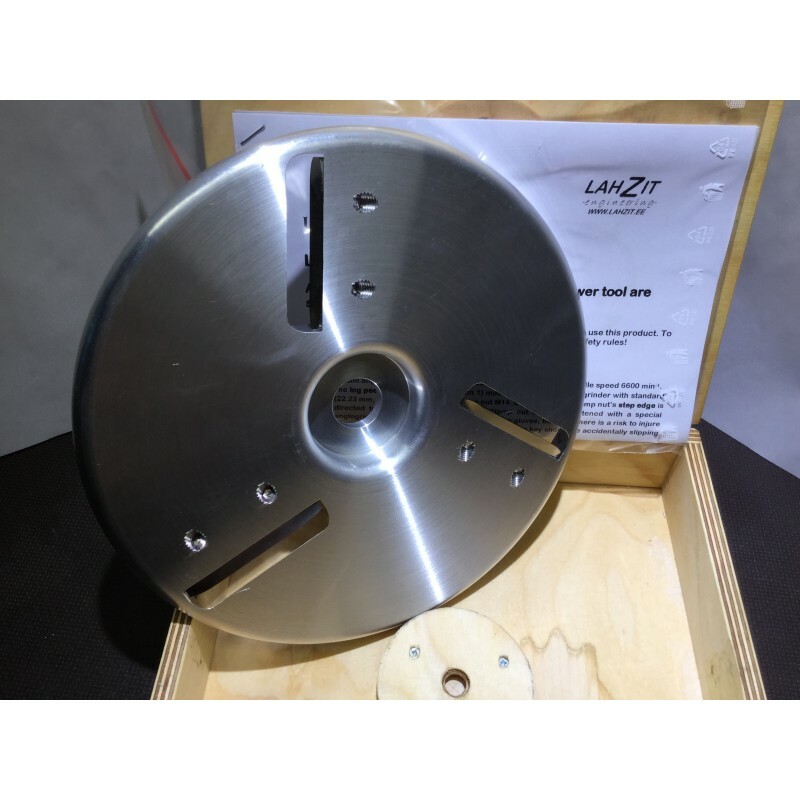 Disc flange made from tempered industrial aluminium alloy AW 7075 T6 (the same material is used in the manufacturing of M16 rifles for the USA military). 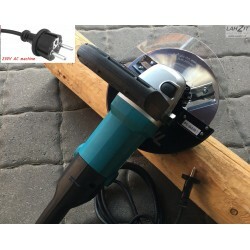 Tool outer diameter is 220 mm, and it fits perfectly with common angle grinder's protective guard. 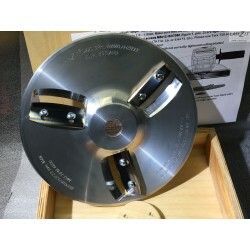 Log peeler tool weights only 1.1 kg (2.43 lbs), total product shipping weight 2.3 kg (5.07 lbs). 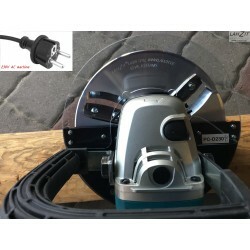 Angle grinder’s rated power must be at least 2kW, optimal spindle speed 6000 min-1, max spindle speed 6600 min-1. 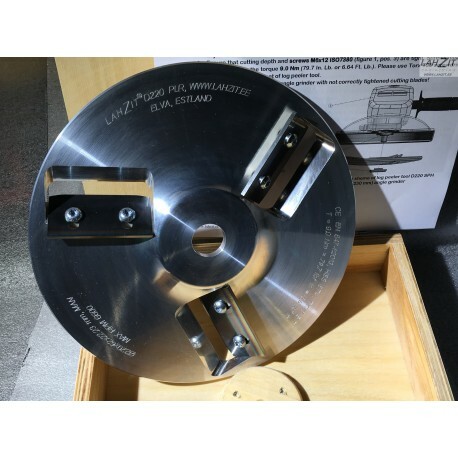 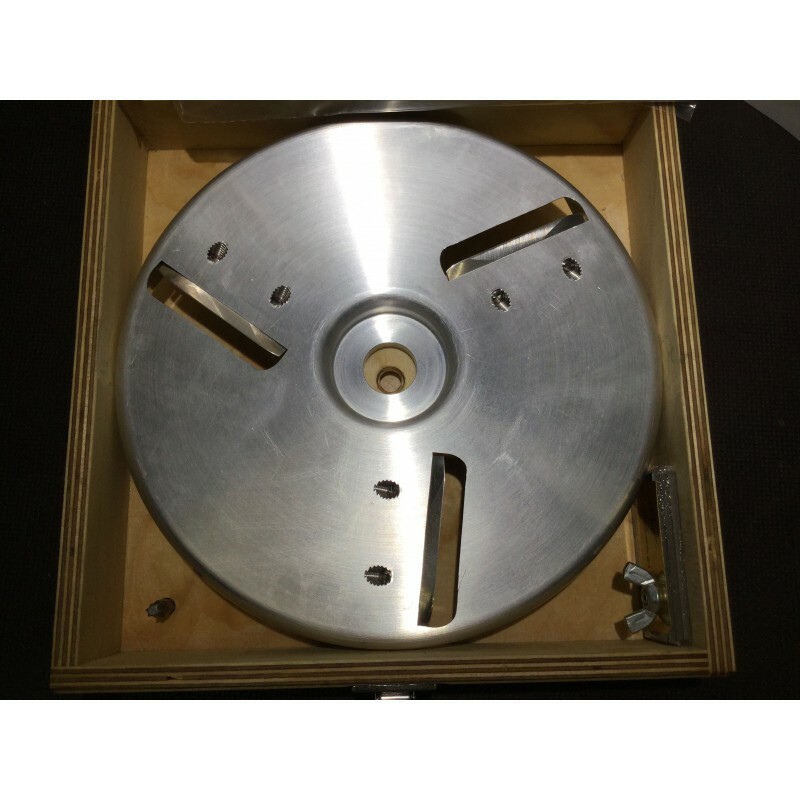 The log peeler disc mounts to the angle grinder with standard 7/8'' (22.23 mm) disc flange and clamp nut M14.